I would send comet and email and ask their advice. I had a question about some bulbs for my games as I am also a noob and they responded quickly and we very willing to help in any way. Sounds like a couple different things could have happened. 2: You accidentally shorted something. Double check and retry with a new fuse. hailrazer Good thinking. I'll double check all my connections and make sure I didn't have something loose. I assume that my grounding clip would go on any of the ground wires right? Why would you piggyback off the same connector? There’s many gi bulbs, pick another. You likely caused a short. You dont say how long the strips are, but two small ones will not blow a fuse if hooked correctly. You should also always have the game off when making alligator clip connections. There usually isn’t a polarization issue so it doesn’t matter which clip goes on which lug. If there is polarization, the strip just won’t light until you reverse the clips. I'd agree those strips are pretty small. I highly doubt they caused the fuse to pop. More than likely one of those clips slipped off and touched the other lead or wire it was attached to. Replace the fuse, find another gi blub socket to get power from and I'm sure it will be fine. lermods You're right. I should have just done that the first time instead of trying to save time by joining them. I'll have them go to two separate spots. darcangeloel Sounds good. I'll connect them at different points. I'm in the 'clip slipped' club. Just for the sake of asking, is there a current rating on the Comet strip? No worries . You came to the right place and asked for help. Luckily it was fused correctly so no harm done. I'd much rather you ask for help instead of blowing out one of those boards or something by accident hahaha. Btw it's not a noob thing to mess stuff up, I do it all the time. Then I read vids guide and do it correctly . Let us know if it gives you anymore trouble. Good work and good hunting! If needed Grab a matrix split Bulb connector. It will ensure your GI Light, and allow a secure Plug in connection to help avoid shorts....some areas are crammed tight or might get movement in play. You should really change the title of this thread as its misleading that there is a problem with comets merchandise before that has been established. What game is this on? Instead of stringing 2 strips together just get Comets longer strips. But you had 2 shorter strips and didn't wan to make another purchase right? mustangpaul The reason I got two separate strips was because I was originally going to put them in different games but since my Gold Wings is so dark I decided to put a strip on each side of the apron. Noob Caution - Make all your underside attachments with the machine powered off (don;t ask me how I know about this!). 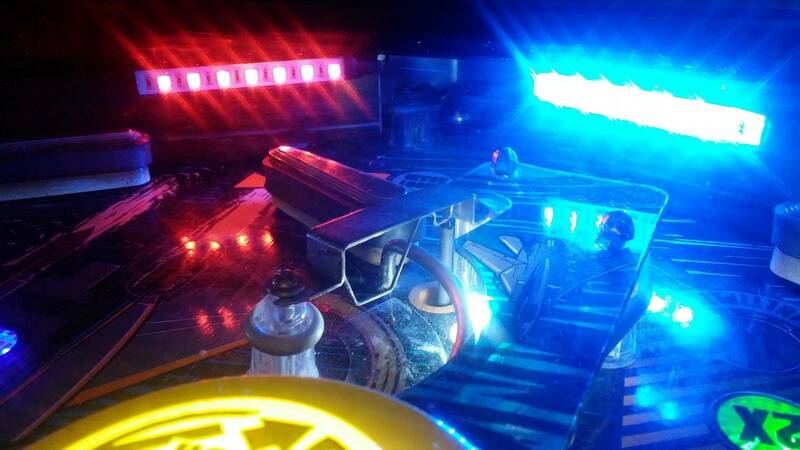 Funny enough, I use the same strips in my Gold Wings as areas of the playfield are pretty dark. I added strips around the loop, in the "clouds" next to the loop and under the cloud plastic beside the ramp. 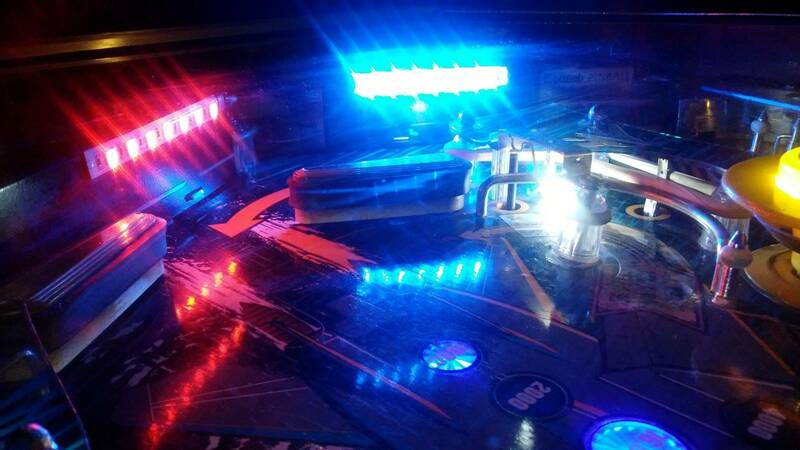 I also added a blue strip to the apron above the drain so the area between the flippers is lit up while playing. Having said all that, did you replace any of the regular bulbs with LED's? Comet recommends they be installed only in games that have a full or partial LED conversion to avoid blowing the fuses. I did a full LED upgrade in my Gold Wings and have piggybacked multiple strips with no issues. matesamo good point sir. All the underside lights have been converted but mauve I should replace all the gis and flashers with leds before I reattach. Check into Comet's Matrix system. I added tons of lighting to my TZ and did not use any clips or solder any connections. Also, if you still have incandescent bulbs then you might not be to add any lighting since a lot of games were already on the edge of overload. I learned that on my first game trying to add light strips before converting to 100% leds. Never do any work with power on. Learned that lesson on my first game as well. Took all of yours advice. Got those new fuses in....poor in.the strips...checked all the clips. everything seems to be working now. Thanks everyone. Sounds cool — don’t mean to hijack the thread but can you post a pic or two? Check into Comet's Matrix system. I added tons of lighting to my TZ and did not use any clips or solder any connections. It's easy. Here is an example of what I used. On the left is a bulb with a split connector. You can run extensions or splitters of that. Connect other sockets, light strips, post lights, etc. 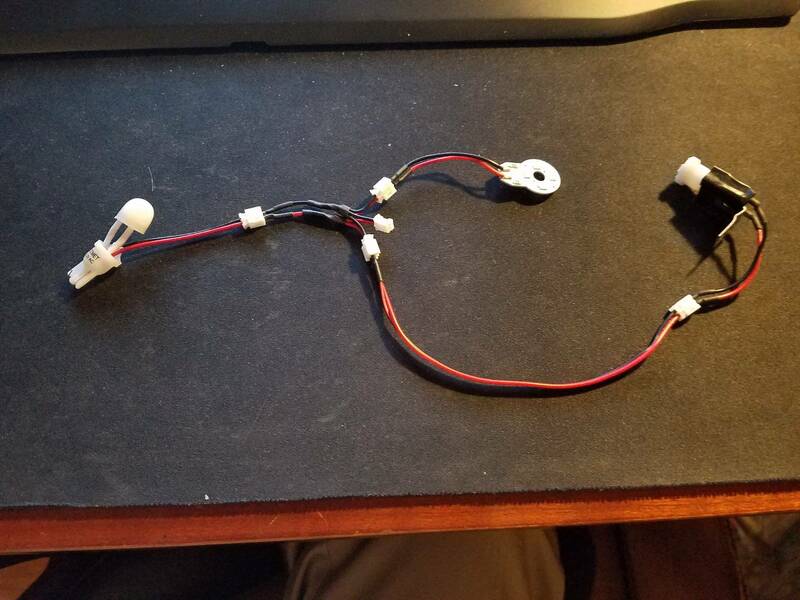 It all uses little connectors so fool proof. You can experiment and see what looks good. Easy to disconnect or add more lights later. jawjaw oh yeah that's the way to go. I think ill order something like that next time. I shouldn't have ordered the one with out the bulb built in. Id rather not use those alligator clips again. Thanks for the ideas.